Kroger® Supermarkets took advantage of printing a code on store receipts when customers purchased select specially marked qualifying products. When one of these products was purchased, the customer was rewarded with a code that allowed them to pick a prize of their choice. By distributing these codes via the flexible method of code-on-receipt, Kroger avoided logistics issues common with similar integrated campaigns. Reach consumers at the transaction level by providing codes on receipts or as coupons at the register. This process includes simple distribution, implementation, and no additional repackaging costs. It can be easily promoted with shelf takers, end caps, and FSI advertising. 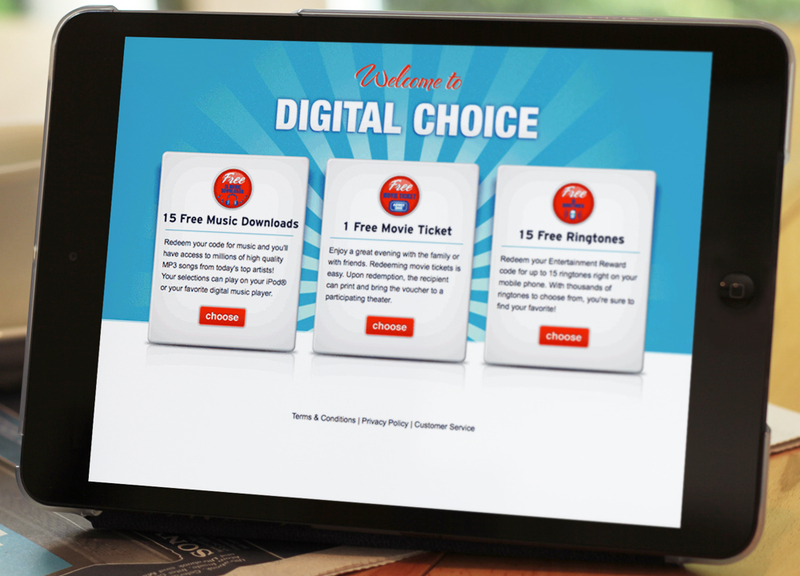 Additionally, these campaigns can be turned on and off quickly. 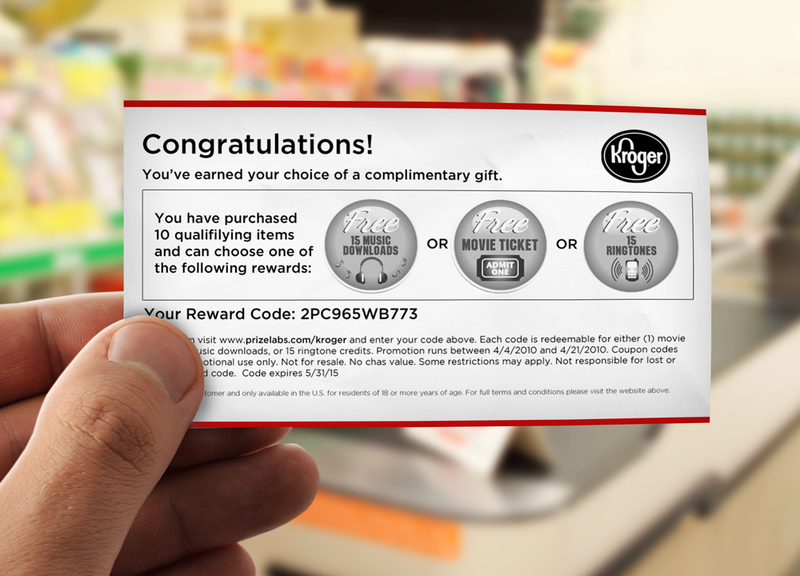 By allowing consumers to pick a prize of their choice, Kroger was creating an incentive for consumers to buy certain products. Customers now associate universally appealing rewards with the Kroger brand.